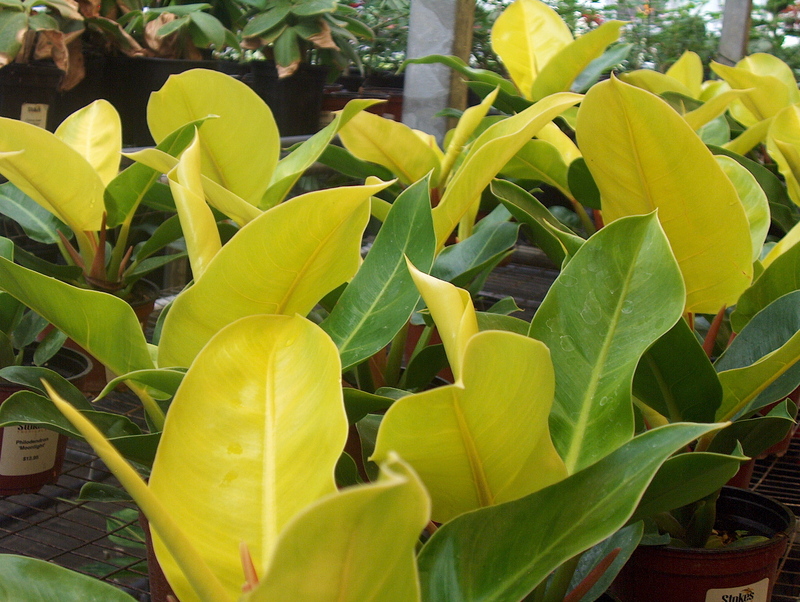 Comments: New growth of this philodendron is bright chartreuse green settling into a darker chartreuse when mature. Bright sunlight will burn the leaves. Does not flower easily, but has white spadix with a pink to red spathe. Flowers may last four weeks or longer.